XLR8 Civic and SI Gauge Pods HONDA - Excelerate Performance - European, Exotic and Japanese Performance Specialists!! 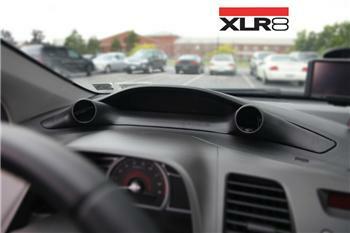 XLR8 Gauge Pods are the product of innovation and market demand. Each gauge pod is newly designed to clip or bolt in to factory locations and to blend in even better the interior of the vehicle. I have this in my 2009 Honda Civic and never fail to get positive comments from everyone that sees it. It sets my car apart from the crowd since few people have their gauges set up this way. Fits mint too. Highly recommended.